Arctic trips aren’t a walk in the park. Just read Suzanne Morphet’s article “A tough, beautiful adventure through the Northwest Passage” about her experience in 2016 on an Adventure Canada trip, and you’ll understand what I mean. Really, all Adventure Canada trips are expeditions in the truest sense. They’re not your watered-down vacations for tourists who want to feel like they’ve ventured into the unknown without actually, you know, venturing into the unknown. Each and every trip takes adventurers out of their comfort zone, introduces them to local culture, and brings them up-close to nature. With it comes an early-bird special, in the form of a 10% discount. The discount applies to bookings made before May 31, 2018. There are over 20 expedition-style trips planned for the coming years. Head into or out of the Northwest Passage (an updated version of the trip Morphet took back in 2016); explore Ireland or Iceland; see the wonders of Africa; or even head to the North Pole (perhaps to visit Santa!) These are just of the few options. There is something for pretty much every potential swashbuckler or land-locked thrill-seeker. Every trip includes a well-staffed expedition team – expert naturalists, historians, artists, musicians, and local guides – so that travelers can learn about the area while they venture through it. The team also ensures the safety of everyone on the expedition. Founded in 1987 by Matthew Swan, it remains a family-owned company. The second generation of the Swan family in charge now. They received high ratings on several travel websites and are Canada’s leading small-ship expedition operator. The Mississauga-based organization supports local projects and the environment with a special “Discovery Fee” ($250) applied to each ticket. They also give back to the communities they visit by employing residents. 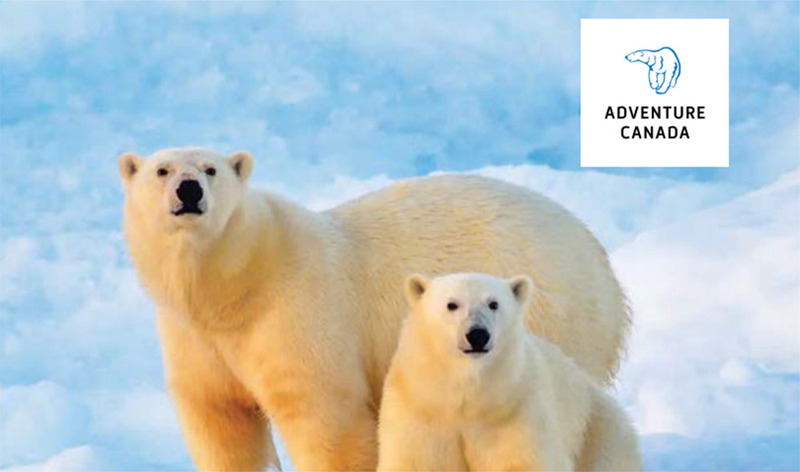 Through partnerships with organizations like Parks Canada, WWF-Canada, and Nikon Canada, they have access to Canada’s most remote places; and through partnerships with organizations like Students on Ice, the Inuit Heritage Trust, and Project North, and the Explorers Club, they foster a new generation of polar stewards. Visit their website to learn more and book your passage on a 2019/2020 trip.